Sotheby’s first fine wine sale of the new year made nearly £2 million in London this week. The sale featured the collection of a ‘Swiss collector’ and included large amounts of blue chip claret and Burgundy and 1,000 lots in total. The best-selling lot was a six-bottle case of 2009 Richebourg from Domaine Leroy which went for £29,040. 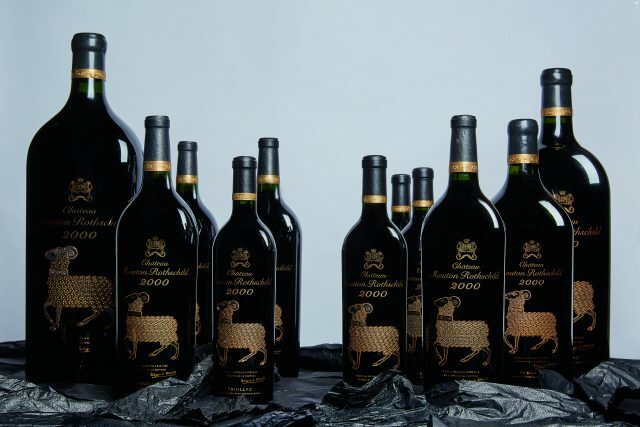 Mouton Rothschild was heavily represented at the sale and bottles and magnums of the first growth’s 2000 vintage were heavily represented in the top selling lots. Six magnums sold for £22,990, a 12 bottle case for £20,570 and an imperial bottle for £16,940. Meanwhile, another 12 bottles of Leroy’s Vosne Romanée ‘Les Beaux Monts’ went for £20,570, while cases of the domaine’s Clos Vougeot and Nuits Saint Georges were also top lots alongside various examples of Armand Rousseau’s Chambertins. Stephen Mould, head of Sotheby’s Wine, Europe, said: “Our first Single Owner sale of the year – A Superlative Swiss Cellar – offered close to 1,000 lots and opened the season on a high. Prices for Mouton Rothschild 2000 were impressive, particularly for the magnums and imperial.